You are here: Home / SportsPLUS / Discrimination/Title IX / What do you think about this new way to promote women’s sport? 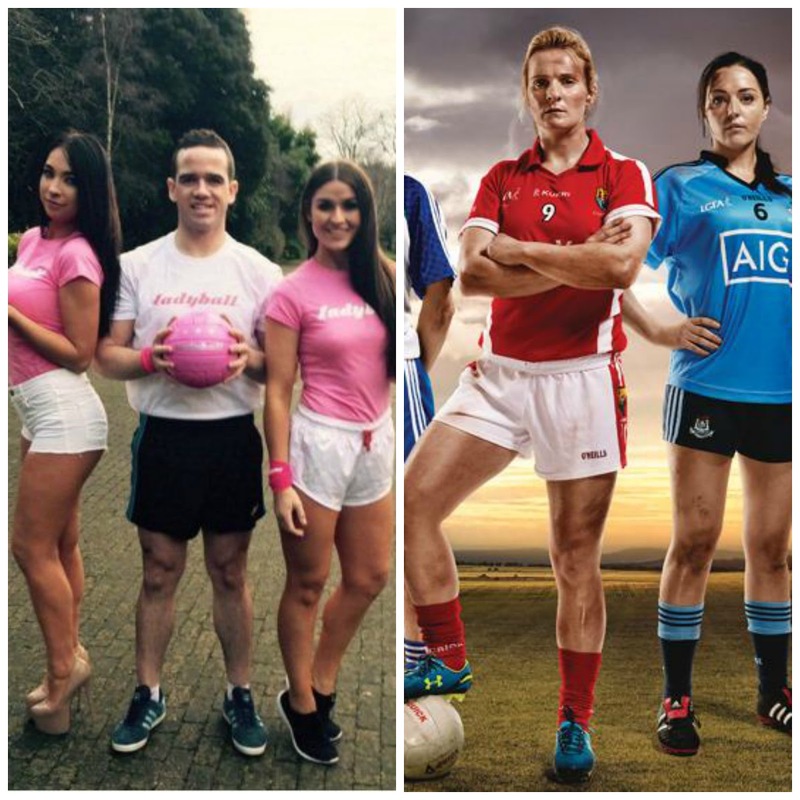 What do you think about this new way to promote women’s sport? I wasn’t going to post about the PR campaign which burst onto Irish social media and sports last week, cause I just feel – meh. At first I thought this was a promo for betting company Paddy Power (see our Facebook discussion) but as the days went on, I wasn’t sure. The tone of the Twitter account was just a bit nasty. Condescending, and highlighting everything this blog has been fighting against for years. Lots of little girls love pink sports gear (and big ones too!) but it was the sexualisation, and the patronage that was just so yawn-inducing. This went on for three days, and to be honest some people did it take too seriously. But reading tweets and talking to people, most saw a PR stunt, and a stunt going rapidly downhill. It’s been picked up by media outside of Ireland, in a mostly incredulous tone. Finally, on Friday evening the BIG REVEAL. So the football itself isn’t real, but the campaign is linked to the Ladies Football – important to note in Ireland this means Gaelic football and the GAA and not soccer as many foreign newspapers incl New York Times mistook – league. They’ve got a new deep-pocketed sponsor; international supermarket chain LIDL and it seems it was their idea to launch this exciting development with three days of negative campaigning. “put the spotlight on women in sport in Ireland and raise awareness of the difficulties female sports persons have in getting the same recognition as their male counterparts.” Yawn. I’m genuinely open to discussion on this, maybe I’m an idiot and just missing the point? Who is targetting? I just feel sad, and disappointed, really disappointed that this was the best, the most creative thing they could come up with.They’re not the first to sexualise women in sport, but one of the few I’ve seen do it and try to take the moral high ground too. Don’t raise a glass to the future of women’s sport just yet, we have a long way to go. PS – the lady in red is Briege Corkery, captain of the Cork team. Crossed arms? The team is sponsored by rival supermarket Supervalu as noticed on Sport for Business.